Why Fees & Commissions are Deal Killers. The real cost of closing a deal. Jack Butala: Welcome to the show today. 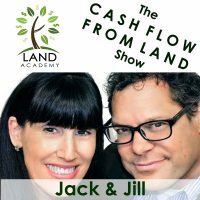 In this episode, Jill and I talk about why fees and commissions are deal killers. Jill DeWit: I promise I won’t rant. Jack Butala: I promise I wrote that title. Before we get into it, let’s take a question posted by one of our members on landinvestors.com online community. It’s free. Jill DeWit: Okay, Bart asked, “I have a lead from California. I did some research and found out that he is one out of three that own the property. How do you guys normally handle these types of leads … ” I’m going to say deal … “Especially if they’re in different locations?” This is hilarious. “Is this deal dead? If not, are there any issues I might run into?” This is not. Jack Butala: There’s two types of transactions, two types of situations where you find multiple ownership, and specifically in California. For the rest of you out there, you don’t have to worry about this as much. There’s the real way, the good way where there’s three people on a deed. Let’s say it’s a … I don’t know … three business partners, three companies, a man and wife and a child. So, that’s all good when you’re all sitting there looking at one piece of paper and there’s three names on it. The second situation, which you don’t really have to worry about in most of the country, I think Texas and California did it for a while is where each owner has a separate APN, assessor’s parcel number. If that’s the case here, it’s called an undivided interest. If that’s the case, run from the deal. Jill DeWit: Was that set up so they could at least collect taxes from whoever would pay? Jack Butala: I honestly can’t answer that. I’ve looked into it pretty heavily. Jill DeWit: Thank you. I was trying to figure out why we didn’t do that. Jack Butala: … through a separate APS. Jill DeWit: You and I on the property together and instead of making one APN when it’s you and I, it’s like, “Well, Jack, you’re 105, 102, 301A. I’m such-and-such B and then we each get separate tax bills cut in half.” That’s just got to be a mess. Jack Butala: The truth of it is this comes up so infrequently that it almost isn’t worth really even talking about it. It came up pre-extensively in the last show or the last Thursday call that we did where we answer all these questions. I’m getting concerned now that we’re talking about it too much. I just don’t think it should get that much attention. Jill DeWit: I’m assuming this is the first one, so can I answer the question? Jack Butala: Yeah, so, let’s assume that. Jill DeWit: Because this is really how it normally goes. Jack Butala: Right, like 99% of the time. Jill DeWit: Yeah. So, say, it’s three brothers. This is when I run into it. It’s often siblings. The parents did this and the parents were getting older, so they passed the property onto the siblings. Instead of picking up, they put all three names on it. Very common. Jill DeWit: One lives in California. One lives in Montana. One lives in Florida. It’s that kind of a thing. Jack Butala: One went to college and he’s doing really well as a dentist. One loves hookers and eight balls and lives in Mexico. Jack Butala: And what’s the third one do? Jill DeWit: The other Darrell? Jack Butala: The other brother Darrell. Jill DeWit: The other brother Darrell? Oh my gosh. I don’t know. He’s a bartender. So, anyway. Jack Butala: Why is it always like that with families? Jack Butala: There’s always good kids and bad kids. Jill DeWit: Our family’s not like that. I was having discussion about that the other day, by the way. Your sister is very successful. My brother, “We don’t want to … ” I’m just kidding. My brother is doing all right last time I checked. So, I don’t think it’s that way. Can I answer the question now? Jack Butala: Yeah. I still wonder, though. Our kids are real different. Jill DeWit: Oh yeah. With our family, it’s all going to go sideways. So, that will happen. Anyway, okay. Here’s the deal, Bart. Not a problem. It can be a problem. The first thing you have to do is figure out if they’re all in the same page, because often in this situation, this is when you run, if you’re talking to the one brother and he’s convincing the other two brothers that they need to sell, forget it. Because if he can’t convince, or you need to get involved to convince him or anything, forget it. Just move on. It’s not worth your time. Now, if they are all on the same situation like I said I’ve been in this predicament, now the holidays are coming. Jill DeWit: That’s the best case scenario. Jack Butala: It’s true deal-making right there. Jack Butala: It’s not finding great properties or opportunities. All that stuff is all very mechanical, but Jill brings to the table, and a lot of our members do, and I specifically do not bring to the table, is this talent of bringing people together and making them happily sign things. Jill DeWit: Thank you. Thinking outside the box. Jack Butala: Jill, that’s a huge compliment. Jack Butala: We deal with this successfully every week. Jack Butala: Every single week in our acquisition effort, there are multiple people, we try to get them together. It’s a talent. Jill DeWit: Thank you. So, that’s my first choice. Now, if that cannot happen, here would be my back-up plan. I would have the deed to make the way across … well, you could separate deeds, but I still like to keep it all on one deed. I don’t want to have separate pieces of paper flying with signatures. Jack Butala: When she means separate deeds, she means deed encounter part. Jack Butala: It’s the same document but it’s got different signature blocks and that’s beyond the scope of this, but go ahead. Jill DeWit: So, I’m going to make it real easy for Bart, because this is not crazy. Say this is deal number three. You could literally have the deed make the way around the country and then the last guy gets a check. If they’re really cool, because you’re cool, obviously, letting the deed make the way around the country. You could say, “Look, when I get the signed deed back from all three of you signing it, I’ll wire the money wherever you guys want. I’ll make it real easy and make it fast. I’ll pay the $25 wire for you, whatever it is.” So, that’s what I would do. You want to make sure they’re all on the same page, number one. Then, have a conversation with. “How can we get this done?” Then the more you help them and make this easy for them and you’re understanding about the situation, then the more they want to sell to you. You might be the only person that’s willing to do this for them and with them. So, that’s why they’re going to close the deal with you. Thank you very much. Jack Butala: Here’s how I’ve had a lot of experience failing at this situation. Hire a notary to do this for … I mean, hire a title agent to do all this for you. You know what they’re going to do? Shove it at the bottom of the pile and hope you forget about it. That’s why we started Title Mind, because to solve these types of problems for people. Jill DeWit: That’s very true. Exactly. Yeah, Title Mind can help. 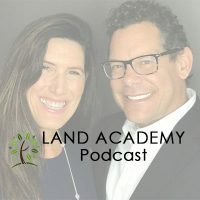 If you have a question and you want it be on the show, reach out to either one of us on landinvestors.com. Jack Butala: … two-decade discussed with how much title agents charge and how much it actually costs. I’m not knocking title agents. If you’ve listened to any of these shows, I think they’re the ones who close deals. I think it’s disgusting how much they charge. Jill DeWit: Well, the other thing is, you can’t get title agents to do what you really want to do. What if you only want escrow? Jack Butala: Yeah. I’ve spent 20 years trying [crosstalk 00:07:52]. Jill DeWit: Because they want the other fees. They won’t do it. They can do it, but they refuse to. Jack Butala: I mean, until now, until we started this, title drives the insurance. You know insurance. This is an insurance company. So, because it’s so profitable, they tell escrow what to do. Well, enough is enough. Jill DeWit: What’s so funny, too, when you really sit and read the title policies and you read what they’re covering, I’m like, “Really? All you really did was cover the guy signing the paper is the right guy.” You’re still not verifying … you’re not promising ownership is right. You’re not promising this or that. It’s quite funny. Am I right? Jack Butala: I could not agree more, yeah. I’m just reeling with which story to tell first. Jill DeWit: Oh. Like, “I lost you, Jack. Where’d you go?” So, too funny. All right. 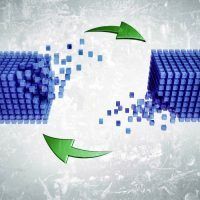 So, why fees and commissions are deal killers? Ready? Go. Jack Butala: What the heck is this? Jill DeWit: You have all the stories. Jack Butala: You could take … did you ever buy a new car or even worse like an ATV. The ATV costs $5,000 or $10,000, let’s say brand new. Then by the time you’re done with it, it costs $18,000. Jack Butala: It’s all fees and commissions and insurance and warranty and all of that stuff. Jill DeWit: What’s the delivery fee? Why do I have to pay the delivery fee? Because you had to deliver it to your place anyway. What the heck is that? Jill DeWit: Throw it all in. Jack Butala: … $1200 for this house, it’s only going to be $1250 for 30 years. Jack Butala: Don’t worry about. Jack Butala: Yeah, something like that. 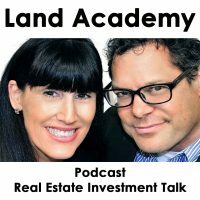 Jack Butala: Then real estate commissions are … if you’re not as a listener outraged, I mean, floored and outraged by real estate commissions, then there’s something wrong. Jack Butala: Like there’s probably a different podcast for you. So, all these things for us add up to just killing a deal. I mean, I’ve walked away from multiple many, many, many, many transactions until we actually figured out the right away to avoid all these fees and commissions and really dug into it. That’s what this whole Land Investors group that we have is all about. Jack Butala: It’s about thinking out of the box and completing transaction and to buy a piece of real estate, it only costs $500, and that’s how it should be. I don’t care if it’s a million dollar asset. Jill DeWit: Not going to do it. Jack Butala: Five or $600 is what it should cost to close the deal. Does that mean you can walk away and go to the coffee shop and forget it? Which is what most people do? No. You really have to be responsible about it and look at it and review it. Jack Butala: Me too. I do the same thing, Jill. Jack Butala: It’s not fantastic. Jill DeWit: … because he got there first. Jill DeWit: I get those all the time. When you get into … so, that’s the thing. When there are brokers out there, they only want the big deals. I would too. It’s worth their time. I’m not going to do those deals, but I do have a lot of broker friends that they get deals all the time and they know that that they can just pass it onto me. At least they can tell, because then they can at least tell their client, “Look, I’m not going to be involved in this one, but I will help you out call this person. This is what they do. They’ll buy it from you,” kind of thing. Jack Butala: The reason this is so prevalent is this happened since the ’50s, probably earlier, because it has become commonplace. Well, where do you buy a car? You go, “By the dealership.” “Really? Is that where you buy a car?” No. Jack Butala: Because they can get away with it, they just do nothing. Jack Butala: As Jill says, they just take pictures of the house with their toilet seat up. Jill DeWit: I hate that. Jill DeWit: That drives me so bad. Jill DeWit: Wouldn’t that be magical? Jack Butala: “Selling the house for X amount of money. We’re going to sell it on Sunday.” So, come by and check it out. All the rest of the details will be taken care of then. That’s how it should be. Jill DeWit: What I wanted to properly convey, too, the whole thing is, look, there are no agents involved, so we’re both going to win. I’m selling it on my own. There’s no commissions. Jack Butala: There’s a bunch of people listening to this right now. I have heard this argument from real estate agents my whole life. “If I wasn’t involved in this transaction, it would’ve never closed.” The buyer ran into all kinds of issues with the physical plan, with the actual asset itself. The seller didn’t like the price or the buyer from the beginning. You know what my answer is? Hey, ding-dong real estate agent, that deal shouldn’t have closed. If they all had those issues, those are material issues. Jack Butala: If I think the buyer of my house [is 00:14:16] a wack job, you know what? Then I’m not going to sell it. Jill DeWit: Thank you, Jack. That’s a good point. Jill DeWit: Well, it’s like what we do every day when my team, when people are calling about to buy a property, if it’s not the right property for you or even whatever it is that we’ve got going on, then that’s fine. I’m not here to talk in anything. I’m here to solve a problem. If it’s not the thing for you, then, fine, move on. I’m not going to waste my time and I don’t want you to call me back six months from now to tick off. No. Jill DeWit: Pushing it through? Jack Butala: Yeah, pushing it through. Jack Butala: Just at every step of the way, solving some kind of thing. All they were doing was trying to get their fee. They did not care about the deal. Jill DeWit: They don’t even know what is across their mind? Jack Butala: Yeah, just like the example you just gave about the real estates that send you deals because they don’t want to do them. I’m baffled by that. Jack Butala: The fact is they don’t know how to do them. That’s what it comes down to. Jack Butala: Or are they? Jill DeWit: Maybe. That’s true. Are they complacent? Jack Butala: My sister was number two or three in sales volume in Michigan. I think number two in Michigan and number 12 in the country, last year for sales volume. This is a conversation I had with her recently. Have you ever recorded a deed? She looked at me like I cross-eyed and said … you know my sister. Jack Butala: “Why would I ever record a deed?” No, I’m not knocking her or anybody else. I’m just saying she’s never really done a real estate deal. Here’s a real estate deal. You have a seller staring at you. You’re the buyer. Jill DeWit: Let’s go down. Jack Butala: Come with me. Jill DeWit: Follow me. We’re going to go down and get all the paperwork going. Jack Butala: Jill and I recently bought a boat just like this. First we’re going to go to the bank and get a cashier’s check. Then we’re going to go to the DMV and get this signed over and recorded. Plus or minus. So, that’s what you do. Then you create the deed in the car on the computer. You look this stuff up yourself, you go to the recorder. Bang, bang, bang. Couple of stamps. You get a book and page number. Jill DeWit: Dude, we should do this. Jack Butala: Now, you own a property. Jill DeWit: Do you know what’s funny? Jack Butala: That, my friends, qualifies you as actually doing a real estate deal. Jack Butala: Do you know how much that whole thing costs you? The price of a cashier’s check and the price of those recording fees. Maybe $50 together. Jill DeWit: Okay, wait. We should totally … this would be the coolest thing to film and show this whole thing, but make it a SFR. Jack Butala: Yeah, that’s what I mean. Jill DeWit: That’s what I’m saying. That would be the funniest thing. Film it, record it, and watch us all going down and have it recorded. Even, I bet the recorder would be like, “Who are you? What are you doing?” I’m just signing this over. Here you go. Jill DeWit: This can’t be done. Jack Butala: No, they’re saying, “Oh, it’s possible. Why would you ever buy a house without title insurance? You’re insane. You need a title policy to insure the validity of that title.” So, play along with me here. Jack Butala: You know what? I actually believe that. I believe that you may have made a mistake. Maybe there are some material [inaudible 00:17:59] with the title policy, but it all can be corrected. Jill DeWit: Well, I just say, “You personally do your due diligence ahead of time,” and then I don’t worry about that. Jack Butala: Jill and I are licensed providers for the three major data sources, assessor data/title plants that are online. Jill DeWit: We have mortgage data. We have it all. Jack Butala: DataTree, TitlePro247, and RealQuest. Jack Butala: … is at your fingertips to look at that stuff. Jack Butala: There’s no reason. There’s no reason you can’t back after that deal. After the whole deal’s on and go get title insurance anyway. Jill DeWit: Is it my turn now? Jack Butala: Yeah. I am a little heated about this. Jill DeWit: It is a third owner of the car. It is the same thing. Jack Butala: Jill, well said. Jack Butala: It’s like reading a case history. Jill DeWit: You can see all it was, was an accident. Okay, got that. It’s the same thing for a home or just a property. It’s not crazy. It’s not hard. You should get in and you’ll figure it out. You can do this stuff so the underlying theme is, for me, why we’re here, which is we want to change real estate and let everybody, which doesn’t have to be that hard … you can do it … and that expensive. Jack Butala: I’m not here to preach and say you should go buy a house. Just wait tomorrow. Not at all. What I’m doing is raising awareness and just letting everyone know that you have choices. You don’t have to use a real estate agent. I mean, on a $100,000 house, by the end of the time that the buyer and seller and all the fees that happen, you’re going to pay into the close to $20,000, 20%. I’m not just talking about real estate commissions. I’m talking about all kinds of mortgage fees and things that are associated with that. Or you can spend two or $300. Jack Butala: So, all I’m doing is raising awareness and letting you know it’s possible. Jack Butala: If we sound angry about it and we’ve gone overtime and we have, is because we are. Jill DeWit: Yeah. You don’t even have to do any more work. I’m thinking even as the buyer or the seller, you’re still going to get involved from the transaction. There’s always going to be paperwork and things you have to put in. Jack Butala: Here’s the other things. Think about it from a seller’s perspective. They get a letter from us, and it says, “If you want to follow me around, go to my bank, and then go to the country.” This is an exaggeration. We never go to the county, but if you want to go to the bank and sign a document and spend an afternoon … not an afternoon. Spend an hour, coffee shop with us. We will buy your house. Jill DeWit: We’ll get it done. Jack Butala: We’ll buy a piece of your land. Jack Butala: You can do that, or you can call a real estate agent and have six or 17 conversations and then list it for sale. And six months later, wander. I mean, as from a seller’s perspective, let’s say you’re a busy housewife, would you rather push a button on your phone and have all this stuff go on for you for a thousand bucks? Jack Butala: Or after cleaning out the garage. Jill DeWit: I want to clarify one thing too. There’s a reason this is this way. A lot of people think, well, okay, I want to close my own deal. This is their first thought. I want to buy my own next house. The most people think that I guess I need to become a licensed realtor so I can do this. Seriously. Jill DeWit: So, that is legit. Jill DeWit: Because that’s the only way I’m going to meet the commission if I’m the agent. That’s not true. You don’t realize that. You don’t have to take that now. Getting the education is never a bad thing. Always good to have that education, but the only reason you would need to be a licensed realtor is if you’re representing somebody else. You’re not representing anybody else. You’re representing yourself. You’re buying a house for yourself. So, just like FSBO used to be a word. FSBO was not … everybody knew what FSBO meant, I feel like, in the ’89s. Now, it’s not used that much. Isn’t that funny? Jack Butala: Yeah, it’s probably created by real estate agents, because FSBO is for sale by owner. What you’re really doing is acting as your own real estate. Do you want to do that? Jack Butala: It’s all this stuff in motion. Jill DeWit: It’s still a FSBO. It’s not an agent. Jack Butala: Somebody handles the whole thing. They’re not representing you. They just handle the paperwork. That’s really what goes on. Jill DeWit: What are you talking about, like an agent? That’s what an agent does? Jill DeWit: Okay, wait. You’re getting me confused. Okay, so, Jack, because I’m sure I can go on any realtor website, put in my address I want to sell, push a button, and I’m going to get a phone call from an agent, and they’re going to take it over. That’s not what we’re trying to say. Jack Butala: Not at all. Jill DeWit: What Jack saying is, we want to develop a product where you decide you want to sell your house. Jack Butala: We are developing that product. Jill DeWit: You can go online and with the push of a button, we post it for you. You are selling your house. There is no agent. It’s like we’ll have like a title person assigned to help you or an escrow person and help you with the transaction the way it should be. It’s like a flat, low rate, because we’re doing some paperwork for you. Big deal, but you’re still selling your own house. Jill DeWit: You’re still doing it. Jack Butala: Yeah, we’re not representing you. Jill DeWit: There’s no permission. Jack Butala: A lot of people are going to magically show up at your door. We’re not going to talk to them ever. Jack Butala: People will magically show up in your door with offers. Jill DeWit: If you want. Jack Butala: Or you could pay us or somebody, but we are not representing you. We are not earning a commission. It’s a flat rate. Choose which offer you’d like, sign it, and we’ll the paperwork for you like any other title agent. Jack Butala: We’re sending a bunch of mail out on your behalf with your signature. Jill DeWit: This six months out, I want to say. Jack Butala: Well, the IT piece of it is done. Jack Butala: It’s the legal piece, if there’s some issues. Jill DeWit: Eight months out. Jack Butala: No, I’m not saying … this may or may not under our umbrella of companies ever come to fruition. We don’t know. Jill DeWit: Right, but the point is you have options like Jack says. Jack Butala: To bring this full circle, fees and commissions kill real estate deals and they keep people most importantly. They keep a lot of would-be real estate investors out of this industry because of just the bad taste that they get in their mouth because they did a real estate deal like their parents did. Jack Butala: That’s the real tragedy. Jack Butala: It’s a boring show for Jill for sure. Is think out of the box. That’s all. A lot’s possible. Jack Butala: Join us on the next episode where we discuss Jill’s #StayMotivatedGroup for women. Jill DeWit: Oh yes. We answer Sophie’s question about buying back tax properties in Colorado. Jack Butala: You are not alone in your real estate ambition. Oh good. I guess we got that off our chest forever. Jill DeWit: I hope so. So, yeah, I like this. I want to make sure that everybody understands what the new product is. It’s not like we’re agents. Jack Butala: It’s not even our product. Jill DeWit: Not even that. Not even it’s our concept. Jack Butala: This may or may not ever come to fruition with us. I get people asking me about it every week. It’s a massive undertaking. There’s huge legal issues. Jill DeWit: … some bigger entity is going to come us and say, “We need your expertise to make this happen. We know you guys know how to do it and we’ll fund it and you guys just consult or something.” I might do that. Let’s see. Jack Butala: Yeah, some version. Jill DeWit: And let them pay for it. Jill DeWit: Hey, like our show? Please subscribe and rate us on iTunes or wherever you’re listening.